Jens Geiger told Euronews' political editor Darren McCaffrey that he is "bored to death" of Brexit. When asked about whether Theresa May should resign as prime minister in a bid to push her deal through parliament, Geiger replied saying he "couldn't care less". 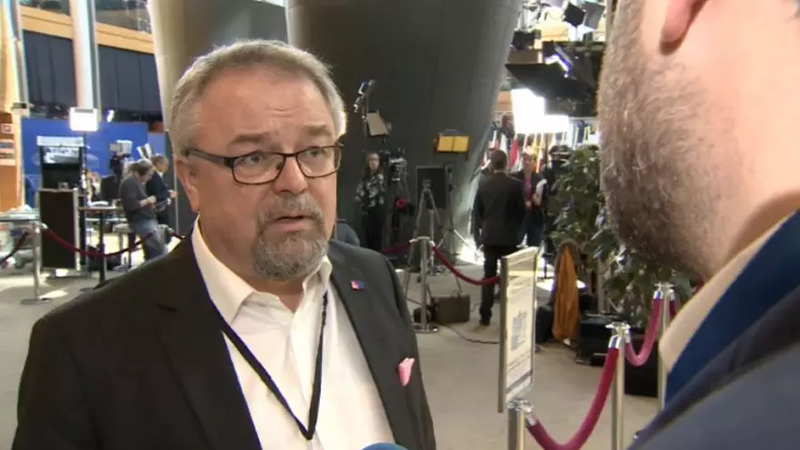 "The British people have to make up their mind and I'm really tired thinking about what should help and what not," the MEP said. This comes after British MPs voted to take control of Brexit, wresting control of the Brexit process from Theresa May. The UK were set to leave the EU on March 29, however the British government secured a short extension amid political division over the 'backstop' agreement, which aims to prevent a hard border on the island of Ireland in an event of a no-deal. Meanwhile, those who have been calling for a 'People's Vote' have been drumming up support through a parliament petition. The 'revoke Article 50' petition aims to call a halt on Brexit and will be debated in parliament next week. European Council President Donald Tusk appealed to the European Parliament to consider a long extension to Brexit if "the UK wishes to rethink its strategy," referring to the petition.